Pradaxa (dabigatran) is an oral blood-thinning medication prescribed to prevent blood clots and treat conditions caused by these clots, like deep vein thrombosis (DVT) and pulmonary embolism (PE). Made by Boehringer Ingelheim, Pradaxa was approved by the U.S. Food and Drug Administration (FDA) in October 2010. Since then, Pradaxa has been reported to cause some serious, possibly life-threatening complications. Seeking compensation for medical bills, lost wages, pain and suffering. An attorney at Bell & Pollock, P.C. is ready to explain your legal options, answer your questions and help you take the right steps to get on the road to justice and recovery. Initial consultations are free, and there is NO fee for our services unless compensation is obtained for your claim. Though touted to be more effective and easier to use than competing anticoagulants (like warfarin and Xarelto), Pradaxa can reportedly increase the risk of uncontrollable bleeding, particularly gastrointestinal (GI) hemorrhaging. If serious, uncontrollable bleeding is not treated with the antidote (Praxbind, which is also made by Boehringer Ingelheim), it can be fatal. 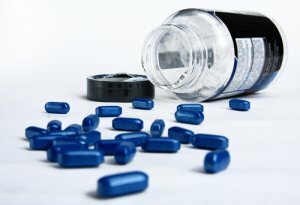 May 2014 – The FDA issues a Safety Communication, warning that Pradaxa is associated with a higher risk of GI bleeding and the same risk of heart attack (when compared to warfarin). December 2012 – An FDA Safety Communication warns that patients with mechanical prosthetic heart valves should not take Pradaxa. November 2012 – The FDA updates a previous Safety Communication, addressing the risks of uncontrollable bleeding events when taking Pradaxa. The FDA continues to monitor the risks associated with Pradaxa and urges doctors and patients to report adverse events related to Pradaxa to the MedWatch Program. Those who have been hurt after taking Pradaxa, as well as families who have lost loved ones to fatal Pradaxa complications, will likely have a claim against Boehringer Ingelheim. Inadequately labeled the drug and engaged in deceptive marketing practices with Pradaxa. A lawyer at Bell & Pollock, P.C. can determine whether you have a Pradaxa claim and, if so, help you pursue your best options for compensation and justice. Experienced at going up against pharmaceutical companies and other formidable opponents, we can help you hold Boehringer Ingelheim liable for the injuries and losses you have suffered due to Pradaxa. A drug injury attorney at Bell & Pollock, P.C. is ready to provide you with answers about your potential Pradaxa claim. Call (720) 580-4294 or email our firm for a free, no obligations consultation with one of our lawyers. As tireless champions of the people, we are dedicated to helping our clients protect their rights, recover from negligence and achieve the best possible resolutions. Backing our exceptional advocacy is our unflinching dedication to providing responsive, personal service. At Bell & Pollock, P.C., we always prioritize our clients’ needs and objectives, and our clients can count on us to tirelessly fight for successful outcomes. Let us put our skills, insight and experience to work helping you recover. From offices conveniently located in Denver, Greenwood Village, and Steamboat Springs, our lawyers represent clients from across the nation in Pradaxa claim and other dangerous drug cases.